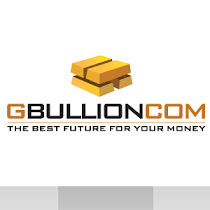 Official GBULLION Blog: Where do you think the prices are headed? Where do you think the prices are headed? Gold price has slightly recovered on Tuesday and Wednesday after the dramatic drop on Friday and Monday, however it still is 17% off the year´s high and 28% from the all-time high. Gold is not the only commodity that is currently suffering, among the others are crude oil, which is down by 5%, copper (10%) and corn (8%). According to analysts the downward tendency could be a sign of a general slowing down of global growth. The opinion was backed up on Tuesday when the International Monetary Fund changed its global growth forecast for 2013 from 3.5% to 3.3%, referring to the weakness in the eurozone, which remains a threat to global growth. In what direction will the price go later this week? Kitco Gold Price Survey has shown interesting results. Out of 21 analysists, who took part in the survey, 10 see prices up, and exactly the same number of participants (10) see them down, only one sees prices moving sideways or remaining neutral. Check out the publication for details.